Kazakhstan is one of the most ancient civilizations of Eurasian continent, a native land of nomad tribes and a significant part of Great Silk Way. Ancient culture of Kazakhstan and its unique kind will definitely amaze you. A great part of the territory of Kazakhstan stretches from Volga to Altay, from West Siberian Plain to Tien Shan mountains. Otrar Travel company provides services in Kazakhstan for all existing kinds of tourism – educational, entertaining, ethnic, ecologic etc. A big branch network of Otrar Travel allows us to develop and organize any tour across Kazakhstan, provide quality service. Big branch network of Otrar Trevel alows us to develop and organize any tour across Kazakhstan, provide quality service. There are many tourist routes across all territory of Kazakhstan. We also provide visa support as well as accomodation in any hotel at your request. All year round Kazakhstan attracts tourists from many countries of the world. What is interesting about recreation in Kazakhstan? Our country has beautiful cities, marvellous plant and animal life and, of course, famous Baikonur, the first spaceport in history of our planet. Kazakhstan has a part of the biggest lake in the world – Caspian Sea, a part of infamous Aral Sea and a unqie half saline, half fresh water Lake Balkhash. There are many other picturesque natural attractions such as Burabay Lake in Kokshetau region, that has spawned many legends, grassland meadows of Zailiyskiy Alatau, grand views of Sharyn Canyon. Kazakhstan can propose an excelent recreation on ski resort Shymbulak and on a well-known high-mountain rink Medeu. Distance from oceans and huge area affect climatic conditions. Climate here is sharp continental. Average temperature in January is in the range -19 and -4 °С, average temperature in July is in the range +19 and +26°С. From North to South Kazakhstan, there are various climatic zones changing, different territories with their own flora and fauna. In mountain south-east area, at height up to 1000 m, ambient day temperature in summer reaches +30°С, at night it goes down to +18 °С. In winter months, day temperature is around -10°С, at night – down to -20 °С. In north, precipitation is up to 300 mm, in deserts – less than 100 mm, in mountains – up to 1600 mm a year. It snows generally in November, and mountain passes are closed until April. Summer rains are often accompanied by heavy thunderstorm, which sometimes lead to sudden floods. Kazakhstan’s currency is Tenge (international reference code - KZT, within the country – T), it equals 100 Tiyn. At present, in Kazakhstan, there are banknotes of the following values in a cash-in-hand flow: 200, 500, 2000, 5000, 10,000, and 1, 2, 5, 10, 20, 50, 100 tenge coins. Tenge is the only legal payment instrument in Kazakhstan, though in practice, US dollars and Euro are accepted for payment. US dollars can be easily exchanged for tenge, Euro is accepted practically in all banks and currency exchange points. Most banks accept only the new banknotes. Major European and international credit cards are accepted for payment. They accept them in large hotels, stores and restaurants in large cities of Kazakhstan. ATMs can be found in banks, hotels and shopping centers. For entrance in the country, foreign citizens require a visa. This regulation is not valid for CIS citizens only, in particular, citizens of Armenia, Azerbaijan, Belorussia, Georgia, Kyrgyzstan, Russia, Tadzhikistan and Uzbekistan. Visa free regime is also acting now for the citizens of the USA, Netherlands, Great Britain, France, Germany, Italy, Malaysia, UAE, Republic of Korea and Japan, for the period from July 15, 2014 until July 15, 2015. Visa free regime is also acting for Ukraine and Moldova for stay in the country up to 90 days. All entrance details can be obtained in embassies and consulates of the Republic of Kazakhstan. National or foreign cash more than 10 thsd. US dollars brought to the country is subject to obligatory written declaring. Alcohol beverages - not more than 3 liters for one individual who reached the age of 18 years. In addition, you can bring undeclared tobacco and tobacco products: 200 cigarettes and 50 cigars (cigarillos), or 250 g of tobacco, if total weight of these products in the range does not exceed 250 g, for one individual who reached the age of 18 years. City transport basically comprises buses, in Almaty there are also trolleys. Fare is 80 tenge. There are taxies in all large cities, though taxi fare should be bargained first. You can order taxi on the phone, vie the Internet, or just to catch a taxi in the street. Besides official taxi, you can catch a private one: it’s cheaper, but such a trip is at your own risk. Railway lines in Kazakhstan are developed, they provide both freight (about 70% traffic flow) and passenger traffic (about 60% traffic flow). There is a number of car rentals in large cities. In order to rent a car, one should have an international driving license and be above 21 years old. Once arrived in Kazakhstan, foreign citizens and tourists can easily find a place to stay for the period of stay. Every large city has several hotels, they all are different: there are the tourist class hotels, and there are international chained-brand hotels. Therefore, price and service level are different as well. However, according to statistics and social research, most tourists prefer staying in luxury 5-star hotels. Banks work from 9:00AM until 06:00PM Monday through Friday. Lunch break is usually from 01:00PM until 02:00PM, but many banks work without a break. Weekends are the days off. One can exchange currency in every bank or the official exchange point. You should keep the receipts until leaving the country. Major European and international credit cards are accepted for payment. You can easily pay with cards in large hotels, stores and restaurants in large cities. Tourist cheques should be taken in the US dollars, to avoid additional exchange operations. ATMs are located in banks, hotels and shopping centers. Stores in large cities, like Astana and Almaty, are usually open from 09:00AM until 08:00PM or 10:00PM, some supermarkets work around the clock. Since long ago, the hospitality has been a characteristic feature of the Kazakhs. Dear guest was always welcome, they sit him/her at the very head of the table, treated with best food they had. Meat is a basis of most dishes. Meat specialities include Kazy, Shuzhuk, Zhal, Zhaya and Karta, and they are cooked from horse beef. Boiling is a preferred cooking method in traditional Kazakh cuisine. They have broadly used milk and fermented milk from long ago. It was easier to preserve Kumys, Shubat and Airan in their nomadic life conditions. Bread was baked as a flatbread, favorite pastry was the Baursaks, the most popular drink was tea with milk. A Kazakh family would start any feast with milk drinks –Kumys, Shubat or Airan, thereafter, tea with milk, Baursaks, raisin, Irimshik, Kurt. Thereafter, they serve horse beef starters – Kazy, Shuzhuk, Zhal, Zhaya and Karta. The only hot appetizer in Kazakh cuisine is the Kuyrdak. The Kazakhs eat at a low table called the Dastarkhan. The most popular Kazakh dish is the Beshbarmak. It is the main national dish. In Kazakh, the Beshbarmak means “5 fingers”, due to the way they eat this dish – with hands. The Beshbarmak is cooked from large pieces of boiled meat to be dressed by the host. Every guest is treated with titbits: hipbones and a gaskin are given to the honorable old men, a brisket – to the son-in-law or the daughter-in-law, neck bones to the girls and etc. Nowadays, the Dastarkhan gathers not only the Kazakhs, but the other nations as well: Russian, Tatar, Ukrainian, Uzbek, German, Uighur, Dungan, and Korean. For many centuries, these nations have peacefully lived next to the Kazakhs and have influenced their cuisine, daily routine and culture. Moreover, they adopted some Kazakh traditions. Therefore, modern Kazakh cuisine includes not only traditional Kazakh dishes, but also beloved dishes of Uzbek, Uighur, Russian, Tatar, Korean and other cuisines. It is the reason why the modern Kazakh cuisine that preserved national properties, also shows international signs. In large hotels and restaurants, a service fee is often included in the bill. As a rule, it is 5-15%. If the fee was not included, but you like service, you can round it up. Taxies and rail transport have the fixed service rates. When you buy any goods at the Kazakh market, don’t forget to bargain. The most popular souvenir the tourists bring from Kazakhstan is the small Baiterek monument. Souvenir products from Baikonur are also popular. Local cognac is famous worldwide. You can buy it practically in every store in Kazakhstan. Leather products. Those should be bought on the market. It is due to the fact that the ancient leather processing and product manufacture method has existed in Kazakhstan. Herewith, production is always associated with handcraft. You can see it in a corresponding lace design. Most popular among tourists are the bags, purses, Torsyks, Sabas and headwear. The Kalkan is set apart, it is a shield made from leather with a national picture design. Silver jewelry. Most jewelry made in Kazakhstan has a national design. The brightest sample is the Blezik. It is a wide bracelet on the arm or leg. National clothes. You can buy it both on the market and in a special shop. Here, the most genuine cloth is the Saukele. It is the traditional female headwear to be put on only for the wedding ceremony. While talking to the Kazakhs, you should remember they one should not break older people, otherwise they can accept it as an abuse. When entering into a room, one should greet every person present, but not only those you know. The Kazakhs are very hospitable people, therefore, when visiting the Kazakh house, you will surely be invited to the table. One should refuse from any food, since hosts can see it as a disrespect to them. 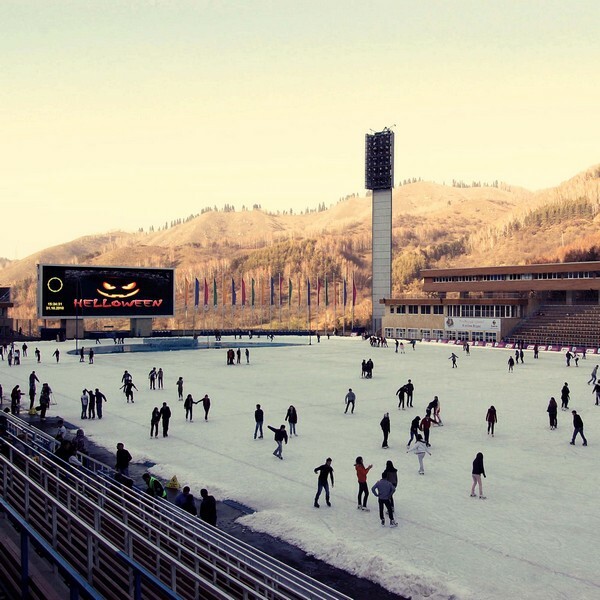 Medeu Rink at the height of 1691, 2 m above sea level, is popular worldwide. Soft climate in the gorge, optimal solar radiation, low atmospheric pressure, light wind and pure ice water – this all has brought the high popularity to the highland rink. Medeu was built in 1972. It hosts various level competitions in ice-skating, hockey, and figure skating. Medeu Rink is situated in the mountain valley with the same name that was named after the nomad Medeu, who lived here a hundred years ago. The highland rink is beautiful in any weather. Ice-skating here is available during 8 months. In summer, they hold music festivals here, and the ice sheet turns into the stage for performers. 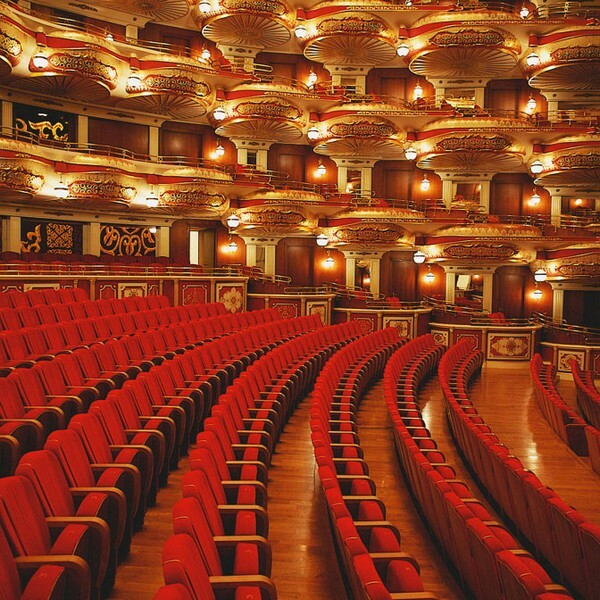 Opera and Ballet Theatre Astana Opera is one of the most beautiful theaters worldwide, its architectural magnificence is fascinating, while carrying you away for thousands years ago, and dipping into antique atmosphere. Genuine ancient Greek style is tightly combined with traditional Kazakh national ornamental leaf-gold design. Inside, the theatre is coated with white marble and rare types of wood ensuring the right acoustics: beech, birch and cherry. Today, all efforts are focused on the internal content to be on a par with its external beauty. Diversified repertoire that includes opera masterpieces under direction of the famous world theatre art masters, picturesque shows – this all and much more you can see in Astana Opera soon. Kurgaldzhin natural reserve on the lake Kurgaldzhin in the flow of Nura river, in Akmola region of Kazakhstan. It was based in 1968, the area is more than 237 thsd. ha, where 199.2 thsd. ha includes water reservoirs. One should note that Kurgaldzhin is listed as the part of world’s natural heritage by UNESCO classification. Its area is the huge water surface, interspersing with reed and cattail thicket, channels, lakes. Occasionally, reed thickets change with virgin steppes of scant vegetation. Water in the lake Kurgaldzhin is fresh. Climate is extremely continental, in summer, it is the parching heat, air temperature reaches 40°С, in winter it is frosty (down to –40 °С). Aquatic vegetation includes reed, cattail, common bulrush, bladderwort, bur reed. In steppe, there are sagebrush, black sagebrush, sage, astragal prevailing, in spring, it is lots of poppies and tulips. There are 36 types of mammals and around 250 types of birds registered in the natural reserve. The marmots, white hares live in steppe, one can encounter huge herds of saigas, many cranes (grey and demoiselle crane), buzzard, ptarmigan. In water reservoirs, there is nesting of ducks (bald-coot and mallard duck), mute swans, pelicans, teals (European teals and garganey), pintail, gulls, sandpiper, herons. 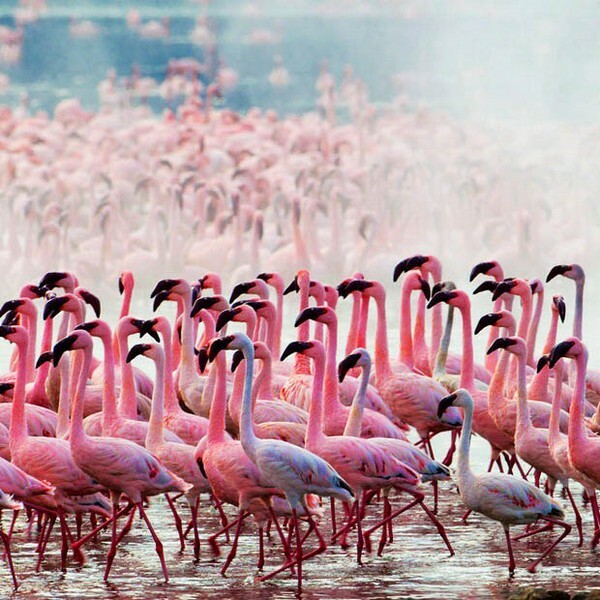 Pink flamingo nests on Tengiz, their number reaches 6,000 units. Kolsai lakes are the precious natural corner, as a unique piece of art, a pearl, a diamond to be preserved (P.I. Marikovsky). 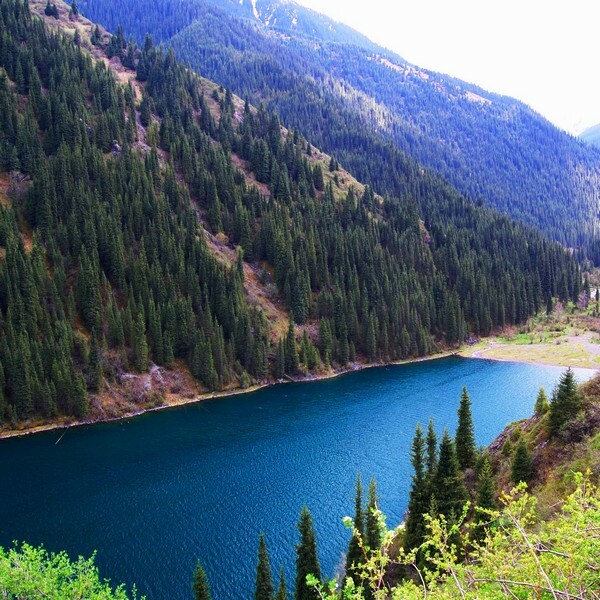 Kolsai lakes are dark blue in color, they are surrounded by blooming Alpine meadows, rocks and huge soft wood forests of the Tien Shan fir-tree, cascading one by one in one huge and amazingly beautiful mountain gorge. They call it the blue jewelry of North Tien Shan. If you see it once, you will never forget this magnificence! Kolsai 1 – your rest starts here. Distance from Almaty to the first Kolsai lake – 330 km. It stretched for 1 km along the gorge, at a height of 1818 m, and there is the road through, there are convenient rest houses, camping. Kolsai 2 (middle) – the most beautiful of Kolsai lakes, is located 5 km up the gorge, at a height of 2252 m. In bottom part, there is a flat glade. Kolsai 3 is 6 km upper than the second, elevation difference between them is 800 m. Water in the lake is very cold. Climate in this area is highland: summer day temperature is 30°С, at nightfalls down to 5-10°С. The season is from July to September. 6 km further, on the Kyrgyz border, there is the passage Sary-Bulak (3278 m) with magnificent views to blue Issyk-Kul.